To earn money with your own blog or website, your content needs to provide useful, practical information. This applies not only to product recommendation, but to any advice you give, or recommendations you make, where you assume the role of ‘the expert’ or an authority on a topic. Here, we offer some dos and don’ts when granting advice. Making money online is not just about understanding technology, traffic and revenue streams. Very important for the success of your website is the trust and confidence that you build with your visitors. They’ll only take your recommendations seriously and click links to go to Amazon if they have this confidence in your content. The click-through rate and the conversion rate will rise significantly. This trust can be enhanced by writing advice and recommendations to address the specific problems, needs and concerns of visitors. It’s been proven that resorting to your own experiences helps you offer the best advice. Examples and personal-experience stories are often well received and help increase confidence in recommendations. Always try to offer options and not just provide a single piece of advice or a recommendation for a single product alone. Finally, not every visitor is the same – different target groups may require different advice. It’s important to be honest and to think long-term. The only way to make a good name online and ensure satisfied readers is to protect your credibility. Include other proven opinions – more opinions increase the credibility of the advice. It is also important that buying recommendations and advice are regularly updated, so they don’t become obsolete and inaccurate. Also, don’t make technical product data the main area of focus. As a helpful advisor, instead emphasise the advantages and benefits for the visitor. The bottom line is that you’re trying to offer a solution to the visitor’s problem. Be very careful with promises. 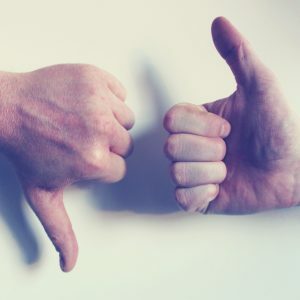 You may think you’re recommending the best product to a customer, but you shouldn’t state that it is “the best”. Instead, say you’ve had very good experiences with it. The word ‘best’ is always subjective. Generally, you should exercise caution in certain topic areas. Advice and recommendations in areas such as law or medicine are subject to strict regulations and should never be dispensed by unqualified people. You should never look at the commissions being offered by a partner programme and then decide what you recommend based on the highest value commissions. Recommend something you’d use yourself. This will pay off for you in the long term. Never claim to have tested a product or service if you haven’t. Not only is it misleading, it can also result in legal consequences. To be able to give honest, trustworthy and sustainable advice, it’s often vital to have experience in a field. Therefore, you should choose your own niche, where you’re knowledgeable and really can recommend solutions and products with full confidence. It can be useful to put yourself in the mind of your visitors, understand their needs and problems and act accordingly – it helps to imagine what you would recommend to close friends or family.